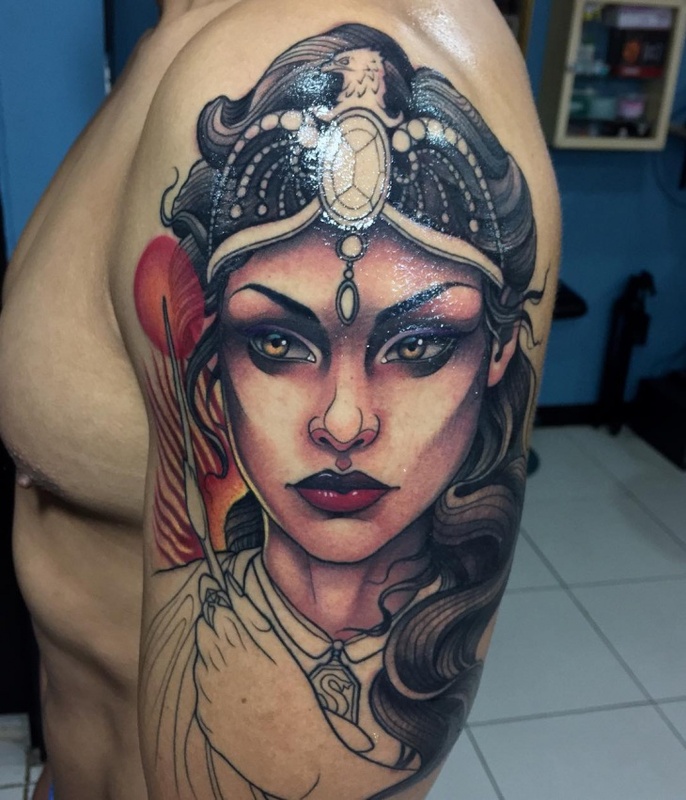 The tattoo trend has been undergoing an exponential rise since the past few years, with artists experimenting with all sorts of inking techniques and artworks on human skin. Witchcraft has fascinated cultures over centuries with its originality and mark of taboo. 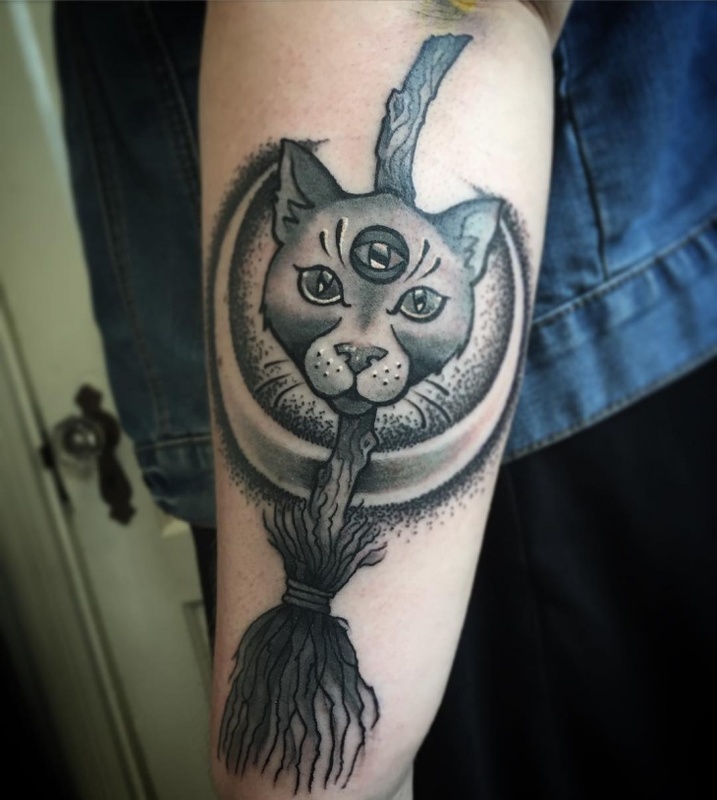 While there would be millions of tattoo designs inked around the world, the following is a collection of some amazing witch tattoo designs to inspire your witchy side! 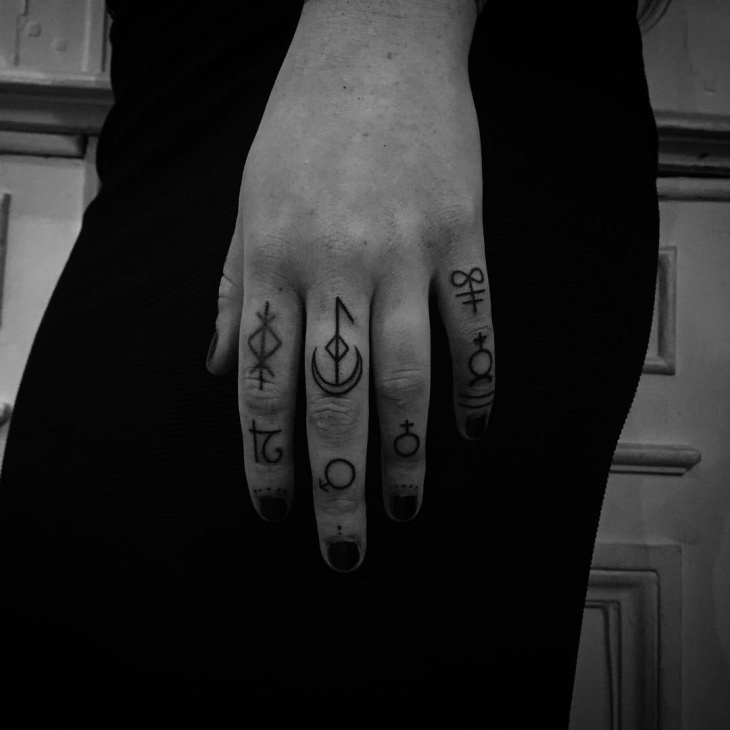 For those ladies who carry the Wiccan Goddess marks close to their heart, this one involves getting these spiritual marks inked onto your fingers in black ink. 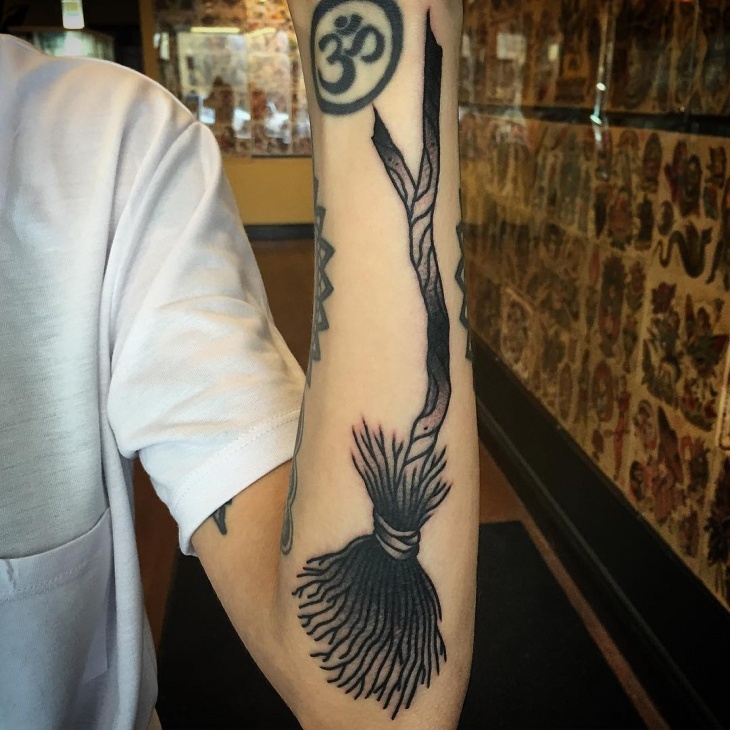 Along with giving a super witchy feel, it also leaves you with a minimalistic mark of the Wicca right on your hands, the most powerful place of your body. 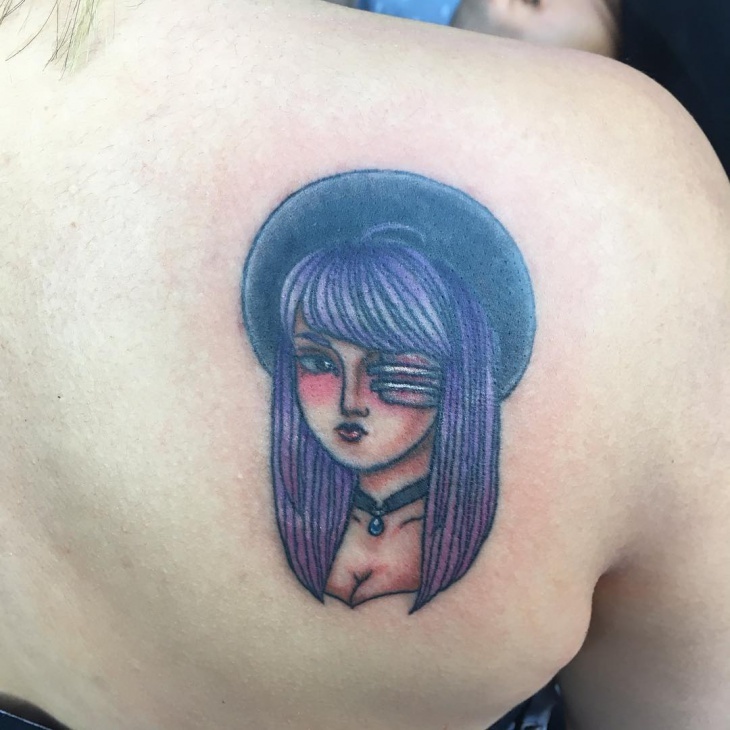 Of course, you can also go the cute way with getting a pretty little Sabrina inked onto your skin in full colours. 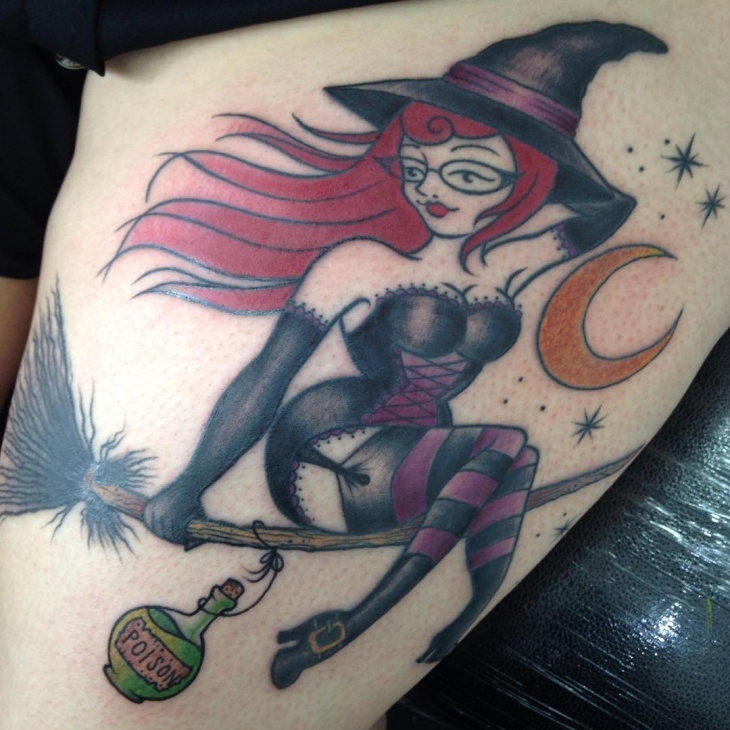 Dress her up in a little black dress, put her on a witchy broom, and whoosh! 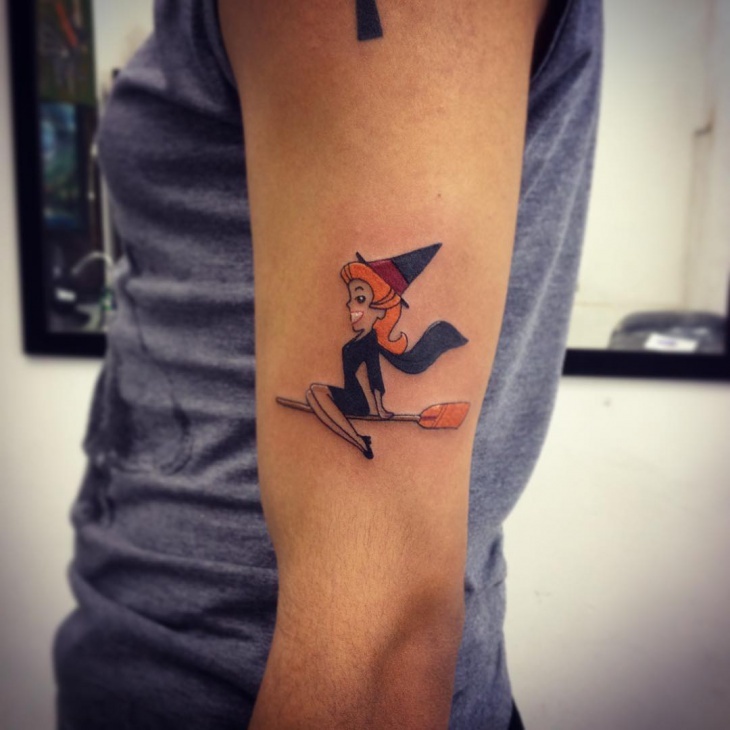 You got your own super cute witch tattoo! Fan of the Harry Potter series and still secretly awaiting a letter from the Hogwarts Academy? 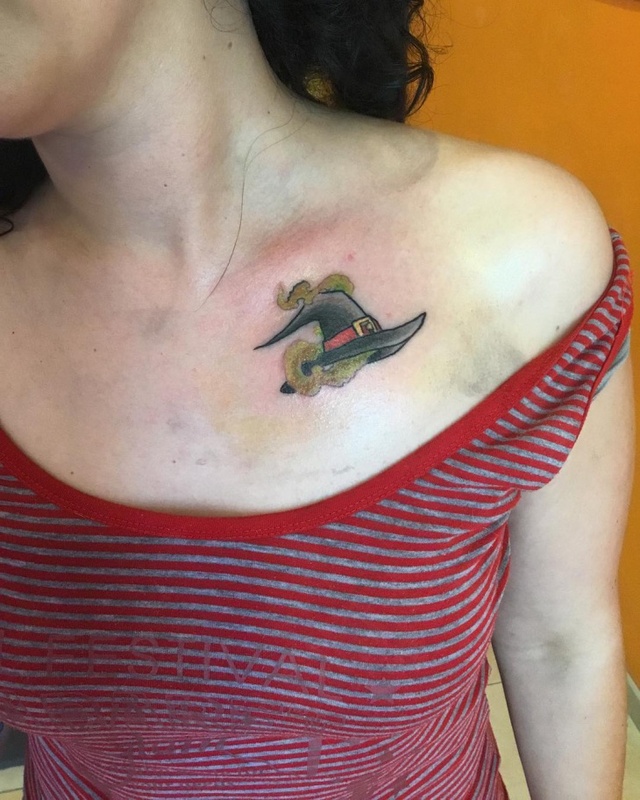 How about showing off your fandom with a flying witch hat? Ensure you get all details done right here; the idea is to have it look trendy, not cartoon-tacky! Going the macabre way of how witches used to be portrayed earlier let this show your devotion to witchcraft and magic! 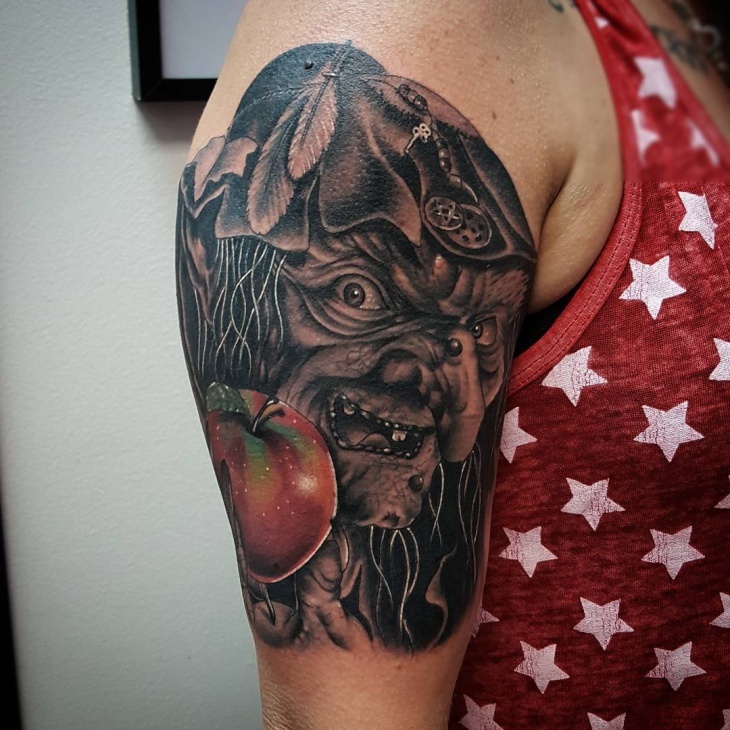 People shunned witches a couple of centuries before; they’d totally adore a super-witchy tattoo like this at this age and time. 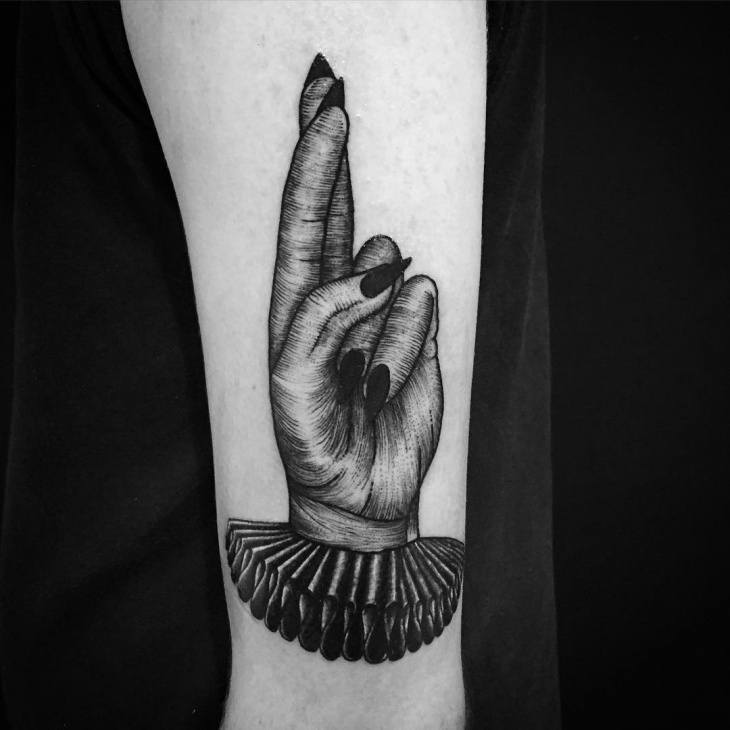 Popularly known as the sign of a witch’s blessing and protection from the evil eye, this one is for the more involved with the witchcraft art. The sign is formed by the first and second finger, along with the thumb pointing upwards, with the other two pointing downwards. 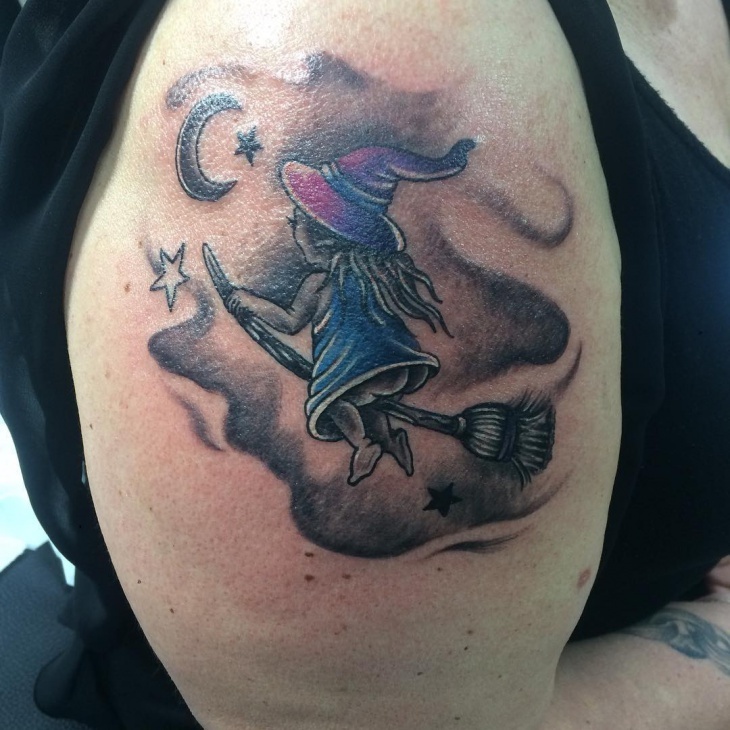 Even if you love witchy tattoos, you don’t always have to go for pure black ink only! 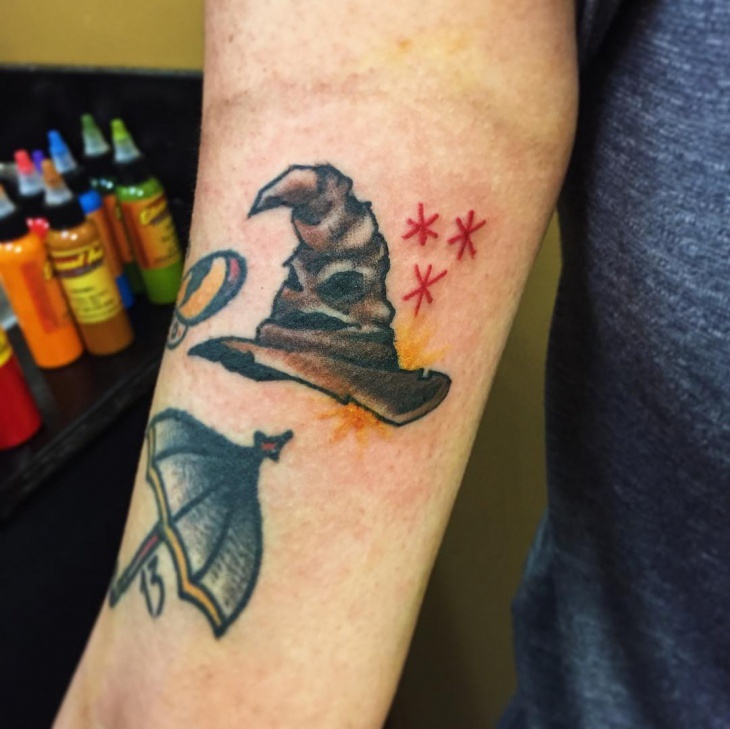 Give your tattoo a colour burst with this gorgeously glittery broomstick tattoo design, done up specifically for a bright-hearted witchcraft-lover! Surround it with other colourful witchy symbols, and you’re ready to go. 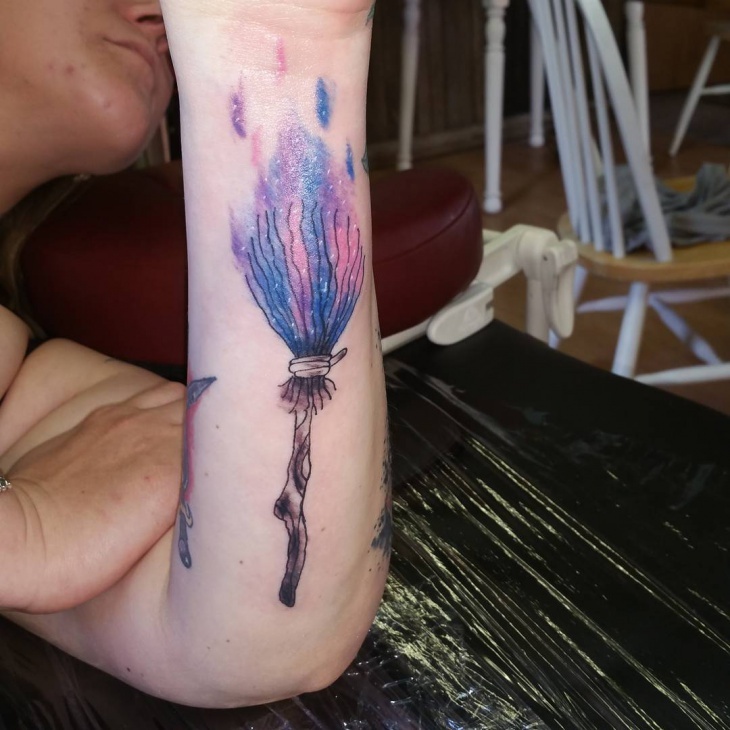 Another way to join the witchy club would be endorsing the witch on her magic broomstick flying out towards the moon on your arm! 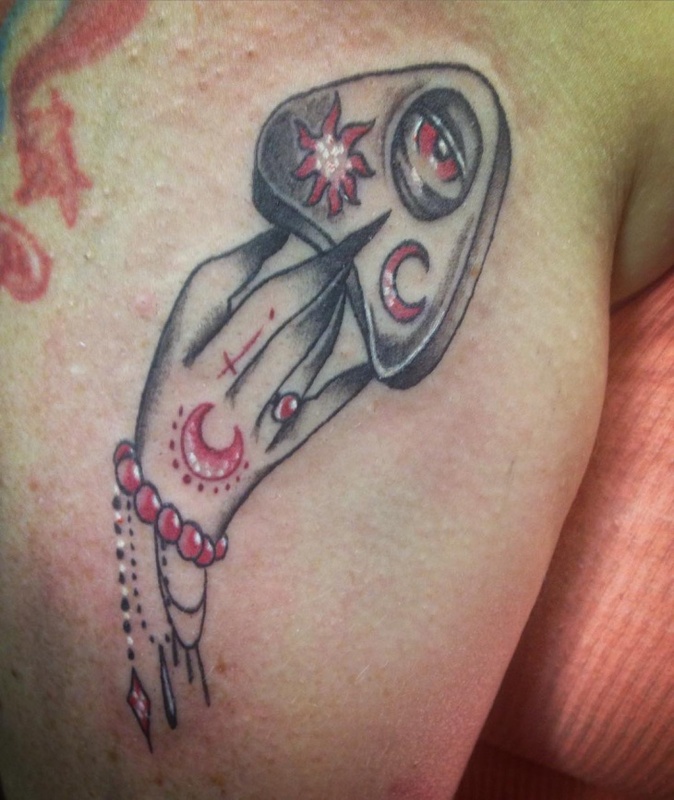 Imbue the tattoo with a soft cover of clouds and fog, and add a few stars here and there for that perfect witchy look. A stunningly beautiful design, this one literally had us drooling over it for a while! Filled in with subtly dark colors and sketched out in pure black, this one will have you stand out amongst a crowd of hundreds. 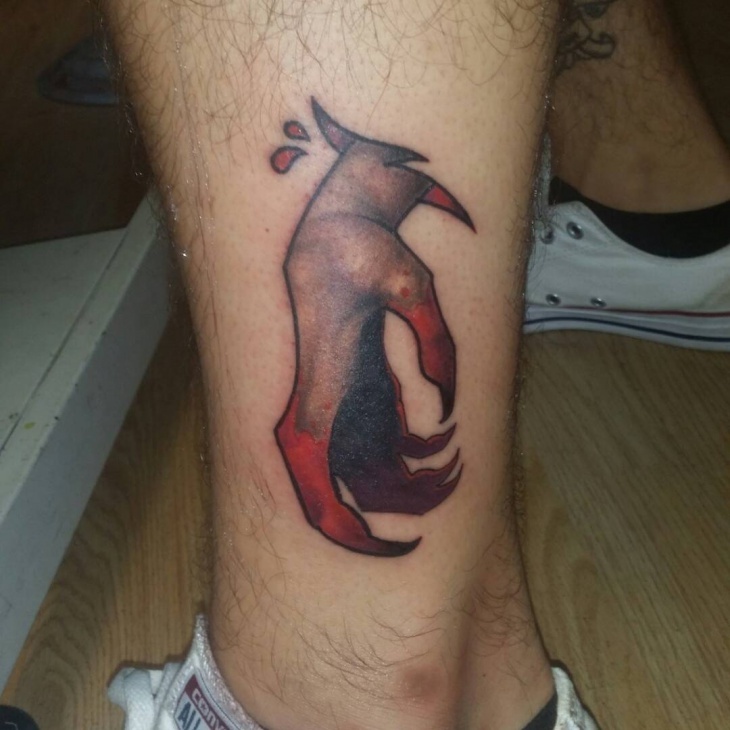 Forewarning though, it will surely take more than a couple of sittings to get this beauty inked in! Another one from the macabre, the beauty of this one is all in the delicate details. 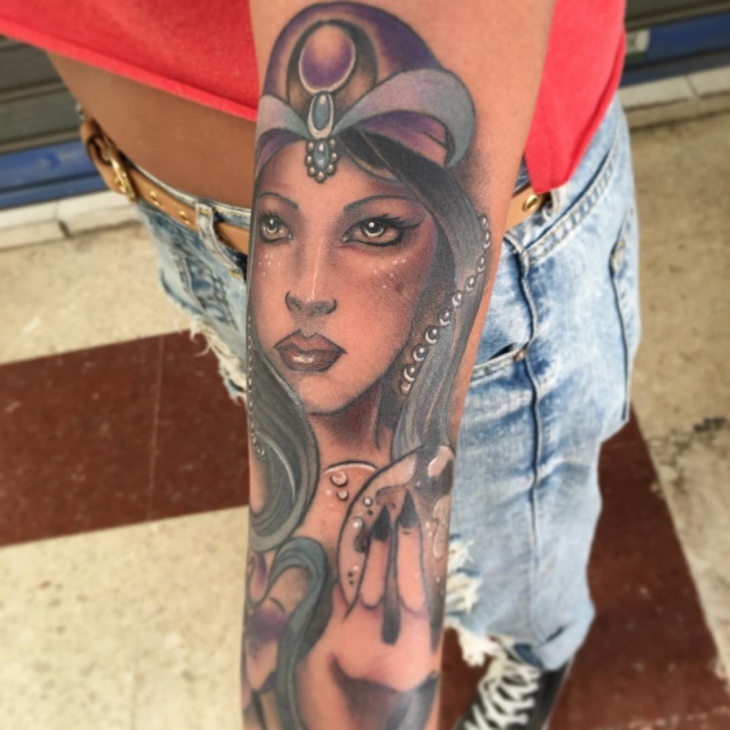 With such perfect strands of hair, and pearl chains swinging in her graceful neck, we love the undeniable skills of the tattooist here! 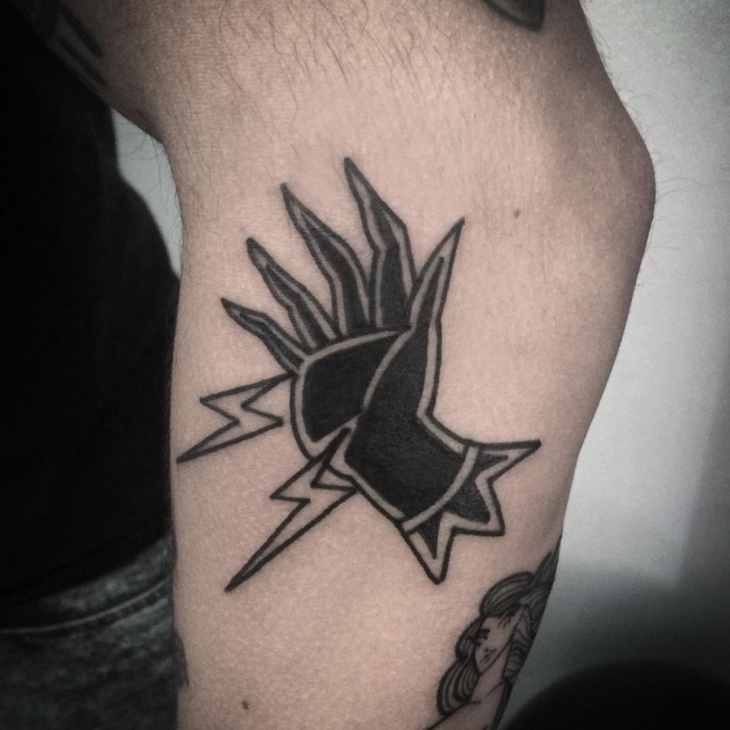 An improvised version of the cross and hat symbol, this look revolves around incorporating trendy witchcraft elements for a super cool look to your arm. 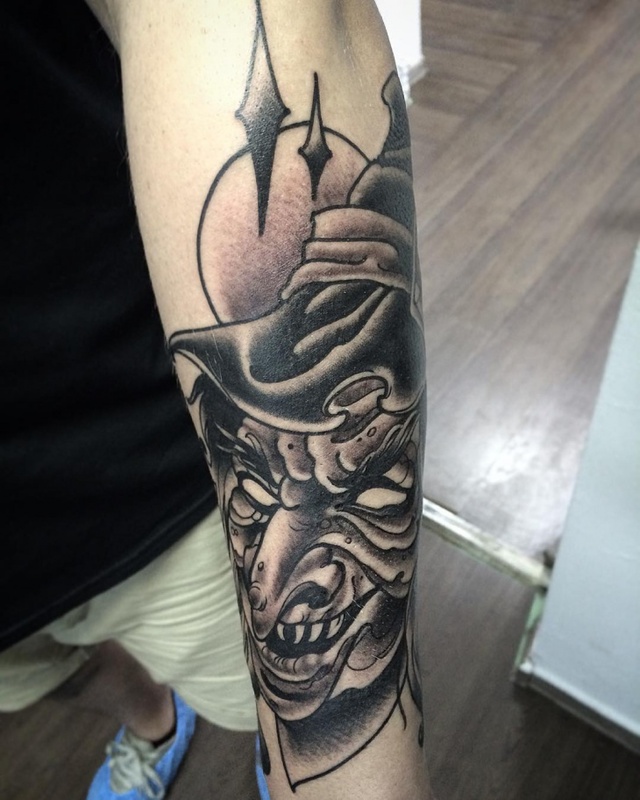 Add to it a twist of highlights and shades to end up with a witchy tattoo everybody around will be envious of! Witches have been called many evil things, accused of lust and business with the devil himself, and have been feared for centuries. But finally, people have let go of the baseless accusations and have accepted witchcraft and paganism as a unique form of religion. 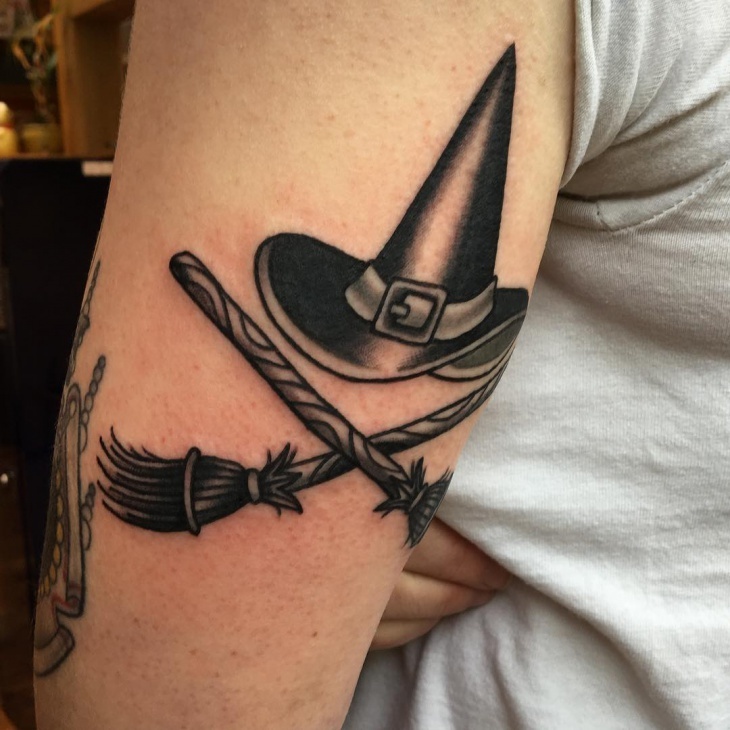 For those who truly believe in the strength and spiritual power of the witchcraft, or even those who fall in love with the magical symbols and their hidden meanings beneath, getting a witch tattoo might be one of the coolest ideas to show your devotion to the culture! Do let us know your opinions on the same in the comments below!